We have very little in the way of history about the Assumption of Mary. After all, the event is not mentioned at all in scripture. This is one of the arguments that Protestants use against the dogma of the Assumption. However, as we are not sola scriptura, and since we know that Catholics follow not only the Bible, but also tradition, we also know the following facts. The Catholic Church is is known for collecting, storing and venerating relics of the Saints. We have relics of even the earliest of Saints. Why has there never been any mention even in early writings of the relics of the Virgin Mary? There are relics of many of the Apostles, so it would be really surprising to not have any relics of Mary. it would be the most prized and venerated of all relics, because the Blessed Virgin is first among the Saints. Yet we have no recovered body of our Lady, just as we have no recovered body of our Lord. Even though Jerusalem had been sacked numerous times, when the Christians rebuilt, they rebuilt their sacred sites. These sacred sites made mention of the Assumption. “Its origin is lost in those days when Jerusalem was restored as a sacred city, at the time of the Roman Emperor Constantine (c. 285-337). By then it had been a pagan city for two centuries, ever since Emperor Hadrian (76-138) had leveled it around the year 135 and rebuilt it as <Aelia Capitolina> in honor of Jupiter. Edicule over empty Tomb of Mary. Church of the Sepulchre of St Mary, Jerusalem. Lord began to be celebrated by the people of Jerusalem. One of the memories about his mother centered around the “Tomb of Mary,” close to Mount Zion, where the early Christian community had lived. On the hill itself was the “Place of Dormition,” the spot of Mary’s “falling asleep,” where she had died. The “Tomb of Mary” was where she was buried. What was clear from the beginning was that there were no relics of Mary to be venerated, and that an empty tomb stood on the edge of Jerusalem near the site of her death. That location also soon became a place of pilgrimage. (Today, the Benedictine Abbey of the Dormition of Mary stands on the spot. )” EWTN. 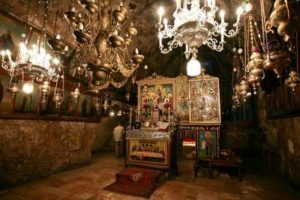 What’s interesting is that there are actually two tombs of Mary: One in Ephesus and one in Jerusalem. However, both are empty. The Feast of the Dormition (falling asleep) of the Mother of God was officially adopted in 588 when Emperor Maurice officially included it in the Byzantine calendar. “The main source of the narrative of the feast of the Dormition is based on the oral and written Tradition of the church, which include: the writings of Saints Dionysios the Areopagite, John the Damascene and Andrew of Crete; the hymnography and iconography of the Church, in addition to an apocryphal narrative of the feast by Saint John the Theologian. Much still remains to be explored. The Syriac fragments have increased importance, being put as far back as the third century by one commentator. The whole story will eventually be placed earlier, probably in the second century.” Theotokos – A Theological Encyclopedia of the Blessed Virgin Mary, pg. 59, Posted by Catholic Answers. Hello? The Assumption of Mary is Dogma! If you are a Catholic, the Assumption of Mary is actually dogma and not optional. Often the Church defines a dogma after years of believing the dogma. The definition occurs to clarify for the faithful, what they are to believe. Pope Pius XII defined the Dogma of the Assumption in 1950 in Munificentissimus Deus. 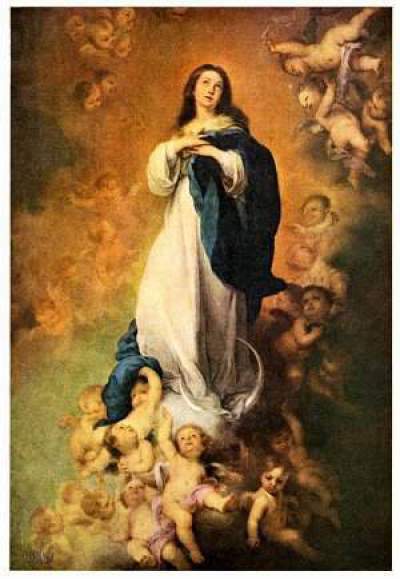 “That privilege [the Assumption] has shone forth in new radiance since our predecessor of immortal memory, Pius IX, solemnly proclaimed the dogma of the loving Mother of God’s Immaculate Conception. These two privileges are most closely bound to one another. Christ overcame sin and death by his own death, and one who through Baptism has been born again in a supernatural way has conquered sin and death through the same Christ. Yet, according to the general rule, God does not will to grant to the just the full effect of the victory over death until the end of time has come. And so it is that the bodies of even the just are corrupted after death, and only on the last day will they be joined, each to its own glorious soul. Now God has willed that the Blessed Virgin Mary should be exempted from this general rule. 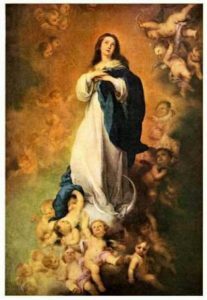 She, by an entirely unique privilege, completely overcame sin by her Immaculate Conception, and as a result she was not subject to the law of remaining in the corruption of the grave, and she did not have to wait until the end of time for the redemption of her body…. Hence the revered Mother of God, from all eternity joined in a hidden way with Jesus Christ in one and the same decree of predestination, immaculate in her conception, a most perfect virgin in her divine motherhood, the noble associate of the divine Redeemer who has won a complete triumph over sin and its consequences, finally obtained, as the supreme culmination of her privileges, that she should be preserved free from the corruption of the tomb and that, like her own Son, having overcome death, she might be taken up body and soul to the glory of heaven where, as Queen, she sits in splendor at the right hand of her Son, the immortal King of the Ages. After we have poured forth prayers of supplication again and again to God, and have invoked the light of the Spirit of Truth, for the glory of Almighty God who has lavished his special affection upon the Virgin Mary, for the honor of her Son, the immortal King of the Ages and the Victor over sin and death, for the increase of the glory of that same august Mother, and for the joy and exultation of the entire Church; by the authority of our Lord Jesus Christ, of the Blessed Apostles Peter and Paul, and by our own authority, we pronounce, declare, and define it to be a divinely revealed dogma: that the Immaculate Mother of God, the ever Virgin Mary, having completed the course of her earthly life, was assumed body and soul into heavenly glory. As you can see, the Assumption is an ancient and most venerated feast. We wish everyone a blessed Feast of the Assumption!